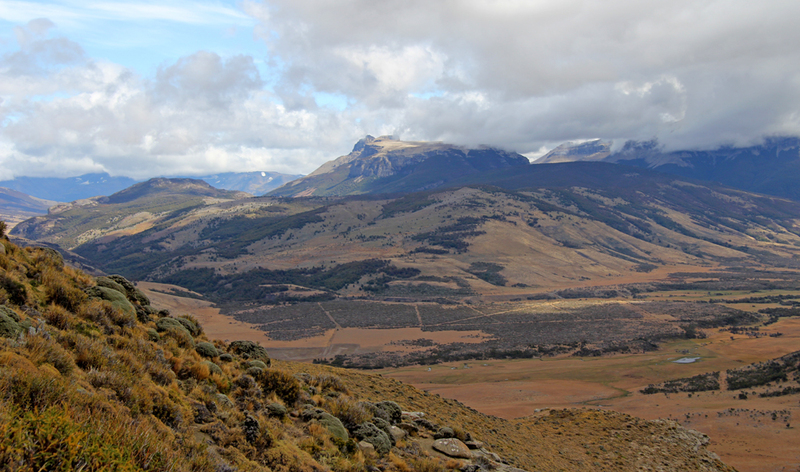 We are getting geared up for another field season in Patagonia — we’ll be looking at these views a week from now! The mountain in the center on the other side of the valley is called Cerro Ventana and is capped by a thick (~300 m) sequence of Upper Cretaceous conglomerate and sandstone of the Cerro Toro Formation. Off in the further distance, and shrouded by clouds, are older rocks (Jurassic to Lower Cretaceous) in the more structurally deformed part of the fold-thrust belt. ← Can you describe your science using common words?